Procter Automotive is here for you if your vehicle needs brake repair in Abilene. We have provided expert and friendly service to the area since we opened our doors in 1947. In the nearly seven decades we have been open, vehicle technology has advanced significantly. However, one thing that has not changed is the need for regular car maintenance such as an oil change, alignment, and brake service. Replacing fluids, filters, and parts such as brake pads at the recommended intervals protect your vehicle and minimizes costly repairs. We are proud to demonstrate our commitment to auto service excellence with ASE certification. The National Institute for Automotive Service Excellence is an independent organization dedicated to technical innovation, quality, and honesty in vehicle repair. When you bring your vehicle for brake repair at our Abilene facility you have the integrity and expertise of ASE certification on your side. 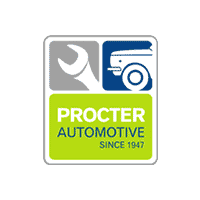 Procter Automotive is located on Butternut Street between South 14th Street and South 13th Street. We proudly offer expert and friendly auto service including brake repair from our Abilene repair auto shop. We are open for appointments, pick-up, and drop-off from 7:30 a.m. to 5:30 p.m., Monday through Friday. Give us a call today to set up your service appointment; we are also happy to answer any questions you may have prior to service. Need to schedule auto service without disrupting your busy workday? Then our online appointment scheduler is for you. Go to the Procter Automotive website and select “schedule an appointment”. Select up to three appointment days and times, describe your vehicle, and indicate the service you require. We will contact you to confirm your selected appointment time, if available, or find an alternative date that works for you. Whether your vehicle needs simple brake service or a total overhaul, we guarantee fast, friendly, and expert auto repair service.